Time has crept up on Nike and I. He has transitioned both suddenly and gradually into seniority– a conflicting feeling I haven’t yet reconciled. It’s almost as if we were still playing agility and running uphill together during hikes just last year, and yet at the same time it’s another lifetime away. There was a time I when I remember thinking: he’s only three, we have so much time– to realizing quite suddenly that in fact he was four, that I had lost count. My chest ached, the fleeting feeling of a year slipping away in a moment being quite overwhelming to my high school-aged self. After that I pushed all thoughts related to mortality as far back in my mind as I could. I didn’t want to dwell on the inevitable, I wanted to seize what time we had the best way possible. Life got in the way of that ideal, though. I left for college and lived in the dorms. I came home multiple times a week to visit– I was home almost every weekend to train, to compete, and to just be with him. But yet, there went four more years. The end of which left me craving a puppy and thinking what possibilities existed outside of my blue merle boy. I cried when we brought Bolt home because I felt this immense sense of guilt. I had replaced Nike (so I lamented). I had split my attention for him, I had somehow ruined a part of our ability to communicate– I hadn’t done those things entirely, but it was impossible to convince me otherwise at the time. The thing is, when we take on the role of a multiple-dog household we do split our attention, it’s inevitable. Puppies take up an incredible amount of time in the beginning, especially when we’re trying to lay down the right foundation for a puppy with all the potential in the world. Two more years slipped past, our time in the ring slowed, and culminated with what would unknowingly be our last weekend of agility, followed by surgery. Years of competing with Bolt have since come, life has continued to propel us forward, and this summer Nike grayed in the face a little more, his joints began to betray him, he slept more. He turned eleven. This past weekend I went to my Dad’s house to train. Nike came with me to run around and “help” with the set up. He enjoyed his time rolling in the grass and getting cookies for doing nothing aside from being full of love, happiness, and barks. I walked up the flight of stairs to the deck and called for him to follow me. He stopped rolling, looked up; confused he began to wander. I called and waved again and we all sort of giggled before he started walking quickly towards the driveway, my car (and the street) in the opposite direction from us. I scrambled down the steps and when he saw me it was with obvious relief. Suddenly I realized he couldn’t see me from where I had stood. That my voice hadn’t been enough for him to follow. His eyes and ears are beginning to fail him. He’s still quite active, even if not the same as before. He falls behind on hikes after a little time. We don’t take him on hill climbs, or anything too strenuous or too long. He doesn’t keep up when we play fetch in the back yard and so he gets his own personal (shorter) throws instead. He doesn’t do agility– though the occasional run through the tunnel, or between bars on the ground makes him incredibly happy. We’ll keep accommodating the best we can to make sure he’s still included. He still hates having his picture taken, so I don’t force him to stand for them as much as before (sometimes, though, I sneak them in quickly). Losing some of what we had before is hard, but there’s so much joy in a senior dog. There is a sort of softness that replaces their once hardened edges. There is a sweetness that comes with the gray hairs, the dulling eyesight and hearing. Nike was once known for his inability to ever settle down (I had to put a command to it). He incessantly paced. He was always busy, he had a nervous energy that occupied his mind and his feet at all times. That, thankfully, has ebbed. Age brings comfort. Maybe not in all aspects– Nike certainly has been dealing with the rigidity of aging bones and joints. But the comfort comes in knowing each other deeply. I can predict him in ways that I can’t always predict Bolt. He has his routine, his schedule, and his quirks like any other older gentleman might. Likewise, he knows me fully. He may not be as sensitive to emotions as his younger brother, but he can still predict me. He has been my constant for eleven years. Through high school, college, and graduate school. Through four jobs, a first apartment, and a future husband. We are a well-worn pair together now. Age brings calm. He settles into any situation now. He greets strange people and dogs with a wagging tail– something that would have been impossible when he was younger. He accepts change easily. He doesn’t stress. There is more rolling in the grass and sleeping on the couch. He doesn’t seem to mind being left out of some adventures, preferring a long nap instead (even if it still makes me sad). He follows along diligently on walks, just not as fast as he was before. He approaches life unhurried. 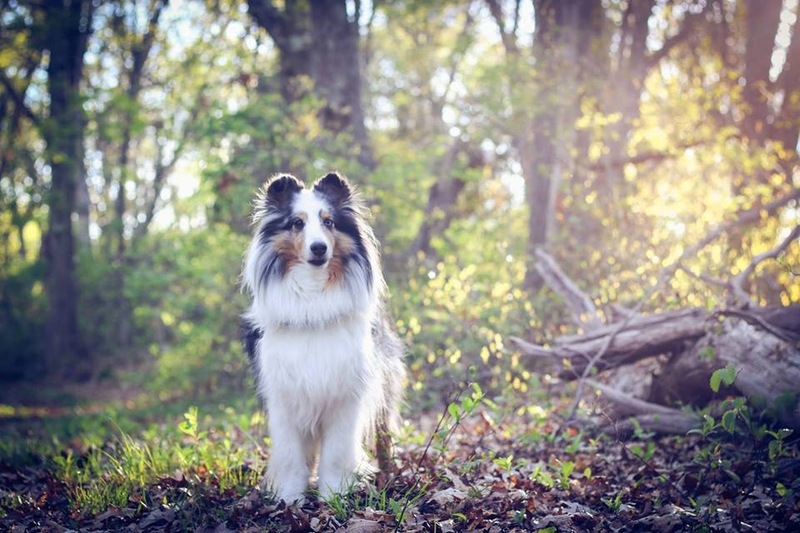 I know when his hearing is fully gone this may change– but if my first sheltie, Flame, was any indication his sleep will become deeper, his calmness more pronounced. He will resonate tranquility. Age puts things in perspective. When our dogs become seniors what was important before seems to matter less. Nike’s agility accomplishments are a nice reminder of what we did together when we played– but they don’t define him. The things we didn’t accomplish don’t matter at all any longer. When I was younger, I thought they would. A part of me thought I would feel like we failed as an agility team if we didn’t achieve certain goals. But everything we strived for together helped shape the trainer and handler I am now. Age make us thankful. I’m so grateful for our journey. For our mistakes and our lessons. For everything he taught me about agility, perseverance, and love. I know eleven isn’t all that old, but I’m thankful for making it to this point with him as healthy as we have. I’ll continue to be grateful for what we are able to do together in the coming years, even though I know it’ll slow down more as time goes on. It’s okay, time on the couch is nice too. Age teaches. I hope to approach the coming senior years with Nike the way he has– with grace, humility, full acceptance, and, more importantly, with peace. There’s so much to learn from old dogs (arguably the best kind of dogs) about life, and aging, and happiness. They show us patience. They don’t fear the future, much less the past. They don’t despair over what’s been lost, but rather they embrace what’s still there. And there’s much left to love. Our dog is eight, and though she is still overly energetic on hikes and loves to do anything that involves jumping, she doesn’t always beat me when I race her anymore, and she’s going gray in the muzzle. Just thinking about her being eight makes me feel the same way you do. All the best to you and Nike. I understand that completely…it’s a tough reality to grasp sometimes. Best to you and your girl as well. That’s a beautiful piece, Meg. I found Carly when she was six and now I’m so jealous of having missed those first six years. The connection between us is so keen and subtle – sometimes a look from me gets as good a response as any verbal command – and I’m sure that’s a function of her mature mind. Puppies are adorable but older dogs are people. Thanks for sharing Nicci. I felt that way when I got my first sheltie, Flame. She was five when she came into my life and I remember being incredibly sad when I realized how much time we had missed out on. But I will say, the time we had together was incredibly full and I’m so grateful we got as much as we did. I really like that last sentiment too. Old dogs have such a soul. What a great piece. I am traveling this same road with my 11 1/2 year old and 4 year old Shelties. While this was not meant to be sad, it brought a flood of tears. We are in the same boat, Carol. Nike is 11 and Bolt is 4. Sorry for the tears, I knew it might hit hard for many. Trying my best to optimistic during this new transition, but it is hard. Thanks for reading. Thank you for your great blog. I have the other side of life perspective. I am 66 and have seen many dogs over the rainbow bridge. 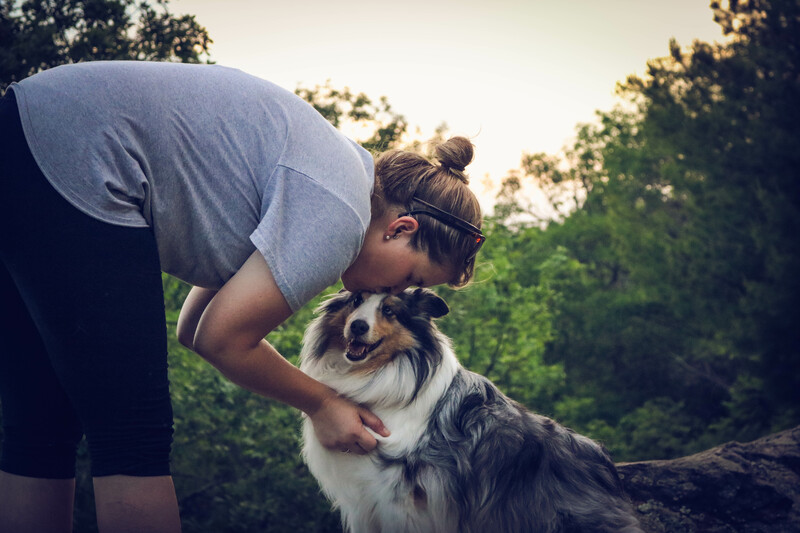 I had dogs of my own go over as well as I was the Input Coordinator for western North Carolina with a Sheltie rescue and dealt with many seniors there. My Star s 13.5 years old. She was a terrific frisbee dog. Now I let her run out a few feet and throw the disk to her so she can catch it in the air. I can only do this a few times before she is spent. She has arthritis all along her lower back that really slows her down and hurts. We are treating her but I don’t think she will make 15. I look at her while thinking of the other great frisbee dogs I have been with while they went over the bridge, tears often come to my eyes knowing Star will soon be gone. Even though I am a man and I am not supposed to cry I often do because I picture and feel the time coming when I won’t have Star. Star has changed too. She was always protecting her territory from stray humans, cats and squirrels. Time was never there to be a lap dog. Now she leaves the cat and squirrel chasing to 2.5 year old Sheltie Kermit. Star now loves to sleep on her bed and to lay beside me while getting a good petting and massage. Star is now almost deaf but I train all my dogs with verbal and hand signals so I can still keep her in control. We still have a grand old time, just slower. Nike has, with luck, several good years left. Enjoy them. Crying isn’t reserved just for us women 🙂 The love we invest in these little souls is quite deep, it would be impossible not to feel the pain when they age. Your Star sounds like she has lived a full, happy life with you. My first sheltie, Flame, lived to 14 1/2. It’s hard not to do the math every time I remember Nike’s age. 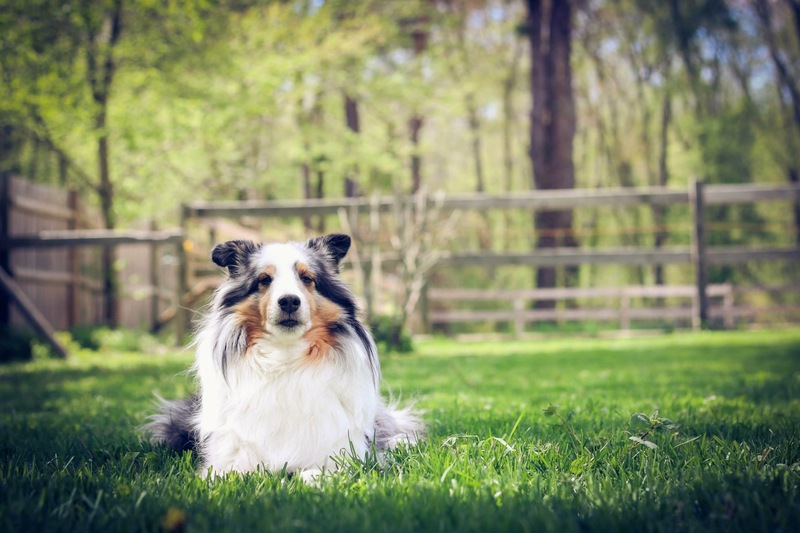 Really nice piece…and echoes many thoughts I have about my senior dog, and first agility dog… this post really touched me. Thanks, Shelah. I appreciate it. A friend shared your blog post on FB and I wanted to let you know how beautiful I think it is! I went through much of the same with my Sheltie Maui. There is so much we can learn from our senior dogs. Maui made it to 16 years old when we lost him this past Christmas. He took a lot of care at the end, but I felt privileged to do it…he still had the light in his eyes and that sweet smile on his face! He is a part of me and always will be. Thank you for your eloquent essay. Oh, thank you so much. I appreciate you sharing your story and for your kind words. What a nice life Maui shared with you.. I hope to be so lucky with Nike. 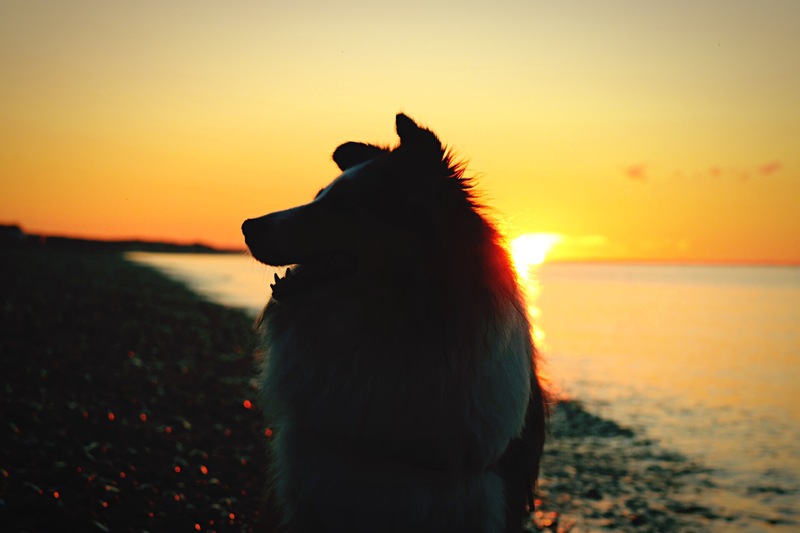 thank you for this blog post 🙂 it s made me think a bit… i have a 4 year old mongrel called milo, he is my first ever dog (i am now 12) i have been doing agility with him now for 3 years. at the start he just ran in circles around me, we got that sorted and we did some open shows (this year he missed out on grade 2 by 2 seconds 😦 ) bu the just goes so slow… he stutters at every jump (large) and he has no interest in it unlike me who loves it! Thank you for this lovely comment! (I apologize, life has been quite hectic lately, and I have been neglecting my blog). I understand the conflict for you. My first sheltie, Flame, was older when I began showing her (I was around your age at that time! 11 years). She wasn’t the fastest, she stuttered jumped, knocked bars a lot, had poor contacts. But we still showed all the time. And I got better all the time because of it. When I got my second dog, Nike, I had a better understanding of how I would train him– I still had a LOT to learn, but everything I did with Nike applied to when Bolt came in to the picture. Every dog that comes in to your life will enrich it in some way, just not always the way we thought, or necessarily hoped. Not every dog will be an incredible agility dog– but they all have the potential to be incredible dogs in our lives! I love that you already see that in Milo. So treasure him for who he is. Use what he’s taught you to help your new agility partner. It will only make the entire agility experience better! thank you, we actually had a call a couple of days ago from one of my agility trainers, there making the indoor rota and she asked me (well mum) if i would like to do this specil agility for the older dogs (10+) they would have like a 20 minute slot imbetween a session to streech their legs. milo is only 4 but i was really keen because i am hoping to still compete with him but even over the last week since i read this post he has litterly come up to me and well… took interest in me. Previous Previous post: Life in boxes, de-cluttering, agility, and other things.